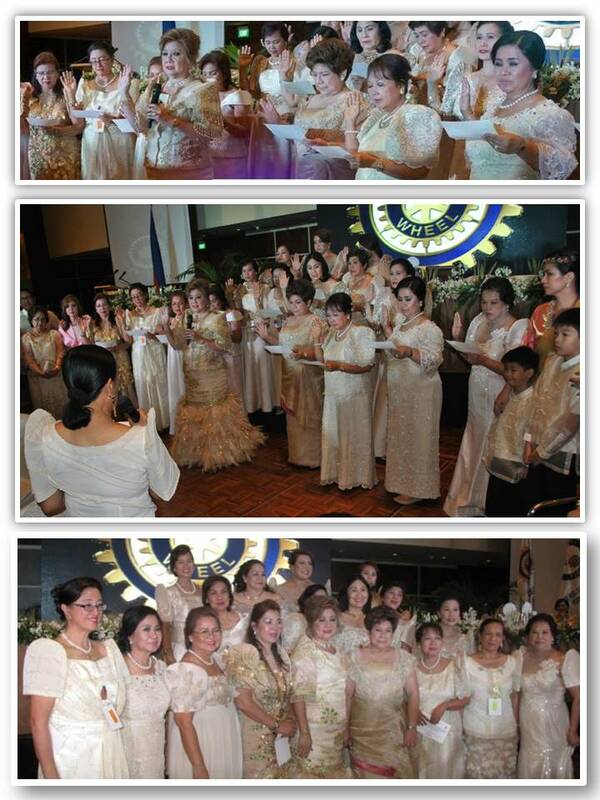 National President Cecille Sy Ferrer was inducted last June 27, 2016 at the Grand Ballroom of New World Manila Bay Hotel, City of Manila. National President Cecille is one of the charter members of Inner Wheel Club of Chinatown. She became the Club President in IWY 2005 – 2007, where the club received Most Outstanding Service Award and National President’s Award for Outstanding Service and she was awarded the Most Outstanding Club President for both Inner Wheel Year 2005-2006 and 2006-2007. She was elected District Chairman for IWCPI D-381 in IWY 2009-2010. During her term, she received the Trinidad Legarda Award for the impressive and dynamic leadership in the implementation of varied projects and programs and service efforts to improve the quality and number in membership of all the component clubs in the District, 1st Place in National Representative Award for undertaking the most number of International Inner Wheel initiated ECOSOC Projects relating to the United Nations Committee. In the National Level, she started receiving appointments as Chairman of various committees since IWY 2004-2005, most fulfilling among them is her appointment as Operations Paglingap where she has travelled the most, and even riding to an army truck just to reach out to flood victims wherever it is needed. She was elected National Secretary in IWY 2011-2012, National Treasurer in IWY 2013-2014 and National President-Elect in IWY 2014-2015. N NURTURE the club members and members of other districts. We are all one in Inner Wheel. I INSPIRE others through good deeds, sound projects. Spread goodwill all around. INVITE women friends to join Inner Wheel. National President Cecille together with her Board of Trustees was inducted into office by Past National President Victorina “Vicky” Magadia. Also inducted during the event are the Club Presidents from the different districts all over the country and the Chairmen of the Standing Committees for this Inner Wheel Year. 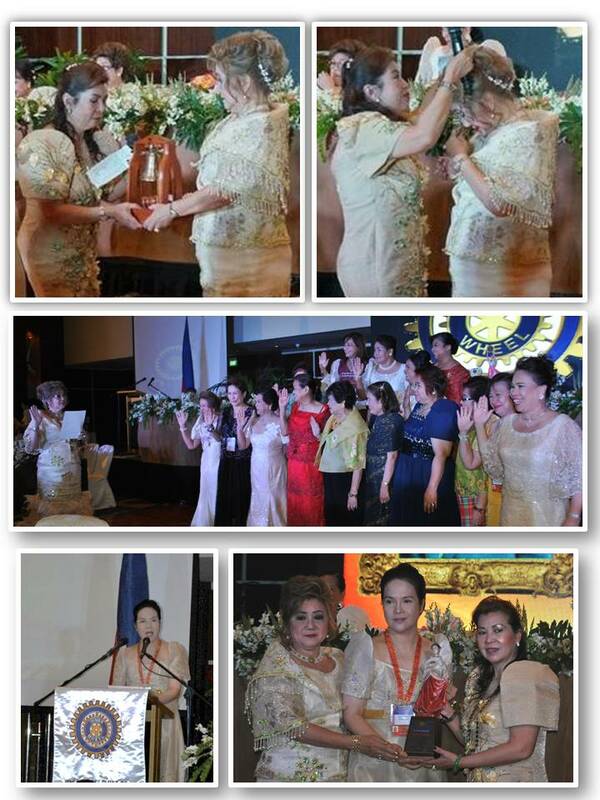 Guest of Honor and Speaker was Honorable Persida V. Rueda‐Acosta, nationwide head of the Public Attorney’s Office (PAO).